Simply insert your device and lock it in with the knobs on the rear, screw onto your tripod head. Done! Maneuver your device from landscape to portrait with minimal efforts. Pan in any direction on your tripod like a pro without shaky video. 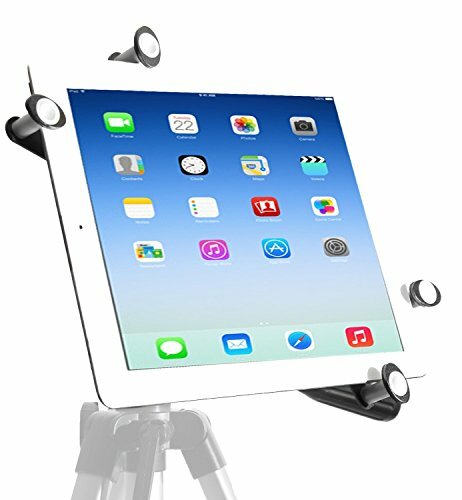 Customers asked for us to design a lightweight aluminum frame, solid, very secure, easy to use tripod mount for their tablets. Our new model is the most rock solid tripod mount that money can buy. On top of that; we decided to add a slick corner to corner design that makes it impossible for your tablet to fall out during use once tightened down providing safety to your investment. No cheap plastic anywhere, complete metal frame that will last you a very long time. Is hot mounts g7 pro sports a zinc plated thread for longevity. Super lightweight and discreet, weighing in at less than 6 ounces fits easily in your backpack, purse, carry case etc. Now ask yourself what can I do with my new g7 pro by is hot mounts? Well the answer is lots!-short-film producers-casino vie guest list management-free-lance professionals-presentations- photographers-golf swing professionals-family group pictures on tripod holidays on birthdays etc. stunning hd still photos on tripod grand canyon Bahamas Flickr video fun with friends live hd video on tripod weddings communions fishing. Easy upstream to YouTube live video blogging use it as a teleprompter for your next business presentation. with your device in the is hot mounts: g7 pro, you can access every function the tablet has to offer and have peace of mind that your expensive device is in a secure, durable aluminum frame, lightweight mount that delivers success in the field, on the go, at home, work or play; right out of the box. Get a mount that offers you superior results for whatever task you throw at it, go with is hot mounts g7 pro. If you have any questions about this product by iShot Pro, contact us by completing and submitting the form below. If you are looking for a specif part number, please include it with your message.